Abstract: Airwheel intelligent self-balancing scooter S3T is a new type of popular transport, which contains both fashionable design and eco-friendly concept. Wireless control, dual battery protection board, intelligent CPU, gorgeous lightning and the passive low full frequency speaker, all of these fantastic equipment are in your control and will excel in your life! We are living in an ordinary world, Captain American, Hulk, iron man？All the miracle legends are made and all the romantic affairs exist only in our imagination. What are left to us are rush hours day by day. Time flies with our youth and time slides away quietly no matter whether it’s day or night! We need to find out a way to start a brand new life with miracles. 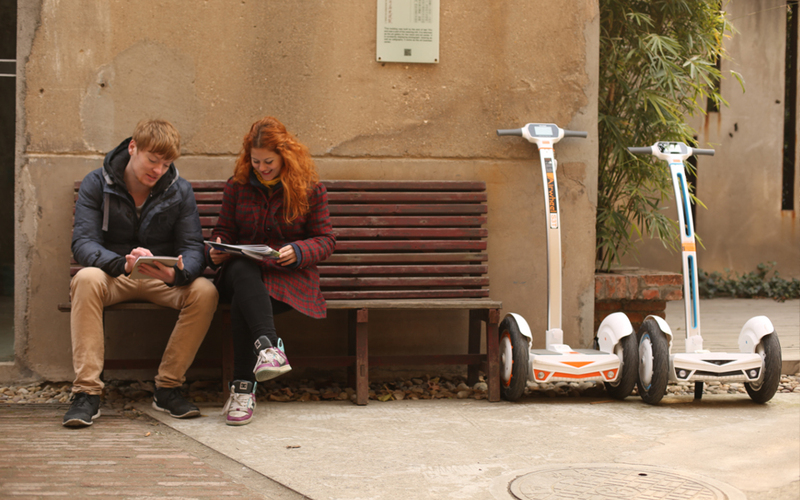 Airwheel intelligent self-balancing scooter S3T is your Legend! Many of us lead a single and tedious life, regarding work as his only subject. Our whole world is bounded between company and family. Gradually, we lost ourselves in it. What’s worse, we have to squeeze into the subway or on the bus after work. Those cold iron boxes plunder our last freedom as well. Wouldn’t you want to change a little bit about this tedious life? Here comes Airwheel intelligent self-balancing scooter S3T, born to bring you an interesting life! Airwheel electric self-balancing scooter S3T has dazzling headlight, brake light and turn light. When the night falls, you will be the superstar on the street. Its body is made of alloy, which is the advanced technology among industry. Alloy makes it more beautiful and, at the same time, safer. Once you look at it, you will fall in love with it. Except that, the dual battery protection board and intelligent CPU will make it the safest. When you feel bored during driving, you can play music by wireless control. Art is the object of feeling, and the subject of nature. All those charming design will put your soul in a wonderful world full of music.